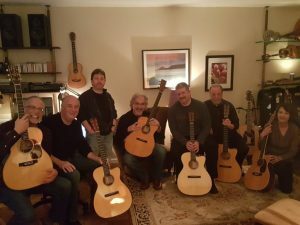 The Country Blues & Beyond session will focus on practical approaches for developing fingerstyle technique, understanding the logic of the fretboard, and ways to “play off” the chords and creating chord melodies. These ideas will be illustrated through learning the wide ranging repertoire of tunes including the arrangements of Reverend Gary Davis, Blind Blake, Lonnie Johnson, Eddie Lang as well as Woody’s original compositions. 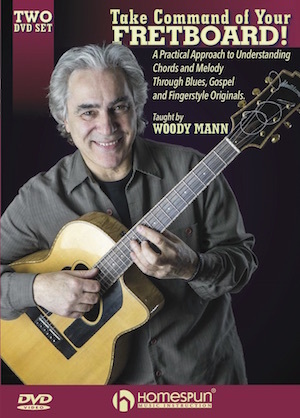 Woody will break down the complexities into a “toolbox” of techniques including; syncopated picking, damping and dynamics, using partial chords, getting the texture and groove of the music, and basic exercises for exploring the fingerboard. The focus will be on furthering your own creativity by understanding what you are playing and developing practical approaches to creating variations within a tune. This is a class for students who want to take their playing to the next level and learn some great tunes in the process.